without losing the original dynamic. The final touch before limiting !! The Precision Maximizer is my goto plugin when it comes to loudness in mastering. Musicians, the radio and the night clubs are so impressed with my masters here in Accra, Ghana. I love the maximizer, I don't think you understand, I seriously dig this plug-in. Its great for adding warmth and volume to your output channel especially if you 'work in the box' The one band option is great for beefing up lowend whilst the three band option adds clarity and sheen to the mids and top end. In short you need this plug-in in your life, don't delay go get it! This was the missing link in the mastering suite. Doesn't take up too much VALUABLE resources on my solo flexi. Even though I have the mastering suite, I still could not attain the volumes for things I want to crush. 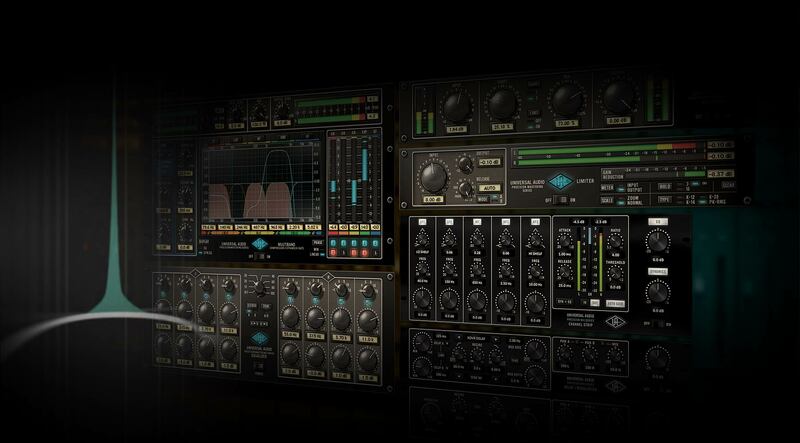 I have other mastering tools but the UAD2 Mastering bundle should really include the maximizer. I have th Ampex Tape machine as well. Once I had it all tuned in I was amazed at the crystal clear yet under the sidewalk low-end I'm sold . Today I did a test UAD Maximizer against a real tube Saturation unit by SPL Charisma. In many cases the saturation you can get from the maximizer was more desirable as the one you get from the SPL unit. I will not say it was better it depends on what you are searching for. The Percisson Maximizer is a no Brainer for the Bugs and is a good exeample to set an end to the discussion Plug-Ins vs. Hardware. all i want to say: i get second uad-1 for precision maximizer. it's the best software limiter! MUST HAVE! so simple and so perfect! The best Maximizer i ever used! my question was, maximizer vs. limiter for in-the-box mixdowns? On the first track the limiter fared better by up to 6db of loudness before distortion occurred on the bass - the maximizer just couldnt handle the bass like the limiter could. Actual and percieved loudness was 'more' for the limiter. The limiter does seem to have a slower release in 'auto' than the maximizer's onboard limit function but otherwise is colourless to a higher input gain than the maximizer. The second track fared slightly better on first listen with the maximizer - it sounded more 'crisp' than with the limiter, and i could push it more. BUT on closer listen some of the harmonics on the breakdown (not just the 'loud' sections) were distorting - when i dropped the input gain to eliminate this, again the limiter outperformed maximizer in terms of loudness, this time by around 3db. So, I'm getting the limiter. Its even got Katz meters (as opposed to the maximizer which doesnt really show you output all that well) its more transparent and is just as 'loud' as the maximizer, if not louder. With tools like the LA2A and Pultec etc, you can do your colouration in mix and not on the bounce. Still, either one is better than anything Waves do - no harsh artifacts with UAD! Really good! Makes a big difference in the mastering. Would recommend it! Though it pains me to say this, for the first ime in my UAD experience, I found this plug to be pretty lame. If you own a Waves L1, L2 or L3/L3 multi, you do not need this plug. As a matter of fact, of all the maximizer type plugs I have, this is the worst and the most expensive for a single plug. I have nearly every UAD plug available love them all and use them all religiously. But this is one I don't see me ever using because it just sounds bad, clips easily and just doesn't do my projects any justice no matter what setting I use. When it comes to maximizer plugs, I'm spoiled by Waves. Loved everything I own from UAD until now. I regret having bought this plug. I don't think it brought anything to my mixes that I didn't already have. Sorry. Use can use up to a point then it distorts. This does not make your mix any better. Wouldn't recommend. I tried this demo when it first came out and thought it was mediocre. In hindsight, I was pushing it way too hard, because on second listen, it's pretty fantastic. For the program material I was using, I found that I needed to keep the Mix level around 60%. Good stuff; just adds that "something." It is very musical because it increases the sound pressure while keeping the original sound alive. This is a fantastic plug in, totally recommended. If used slightly on the master it really helps the signal pop out of the speaker! Super useful plugin for pushing up the level of your master output. Simple interface and much easier to use than the alternatives out there. If your levels are too low, take it to the Max ! My favorite secret weapon for the loudness without compromise,unmatched, one of my favorite plugins. Es lo mejor para incrementar la mix, esas que les falta una mayor pegada, hace que al masterizar le des un toque mas de energía, mejorando la calidad del sonido.